Knockout will pass the attached View Model as the context to that method. Basically it means that the meaning of “this” inside of “signIn” method will not be “loginForm” but the object that has the loginForm property. This will usually not make your unit tests to fail, so don’t do that; but when you move to the HTML you will notice that it’s not working properly. I found the “with” data bind in the knockout 1.3 beta to be extremely useful for avoiding the previous problem. 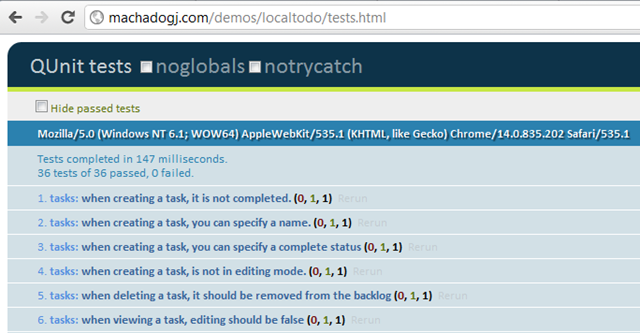 When doing this, you can test the “newTask” class without having to worry about Backlog or the rest of the classes. 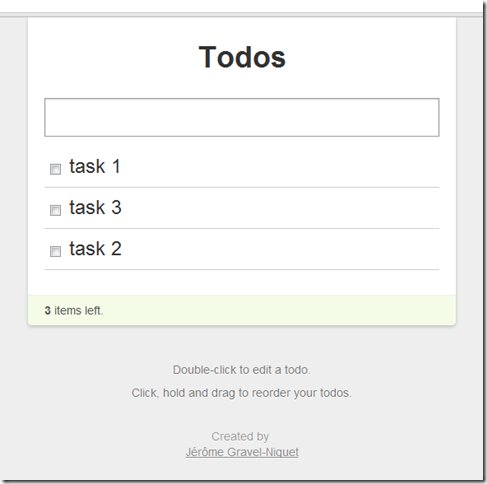 backlog: when cleaning a completed task, backlog's uncompleted task is not deleted. 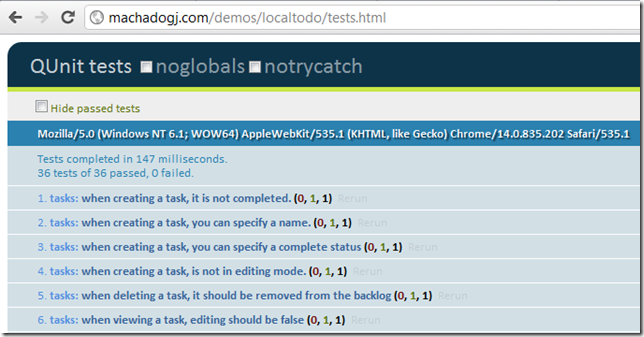 newTaskModel: clear sets the name to empty string. 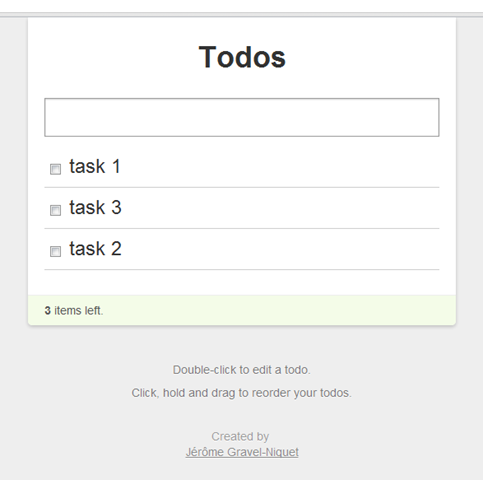 newTaskModel: after a task is saved, the name field should be cleared. I consider Unit Testing to be a good practice regardless of the language. When writing Unit Tests you have to do code that’s well decoupled and well interfaced for your tests to be easy. When developing your applications with Unit Tests in mind, It’s important to pick the right patterns. The MVVM pattern turns out to be an excellent pattern for decoupling your view logic from the view representation; thus taking the unit tests as close of the UI as possible without testing the UI directly. In my opinion Knockout is a pretty cool MVVM implementation, so it’s a perfect fit for unit testing.